Discovering a city is always easiest when staying central. While visiting Cape Town I was visiting the Hilton Cape Town City Centre, a hotel which cold unlikely in a better location. 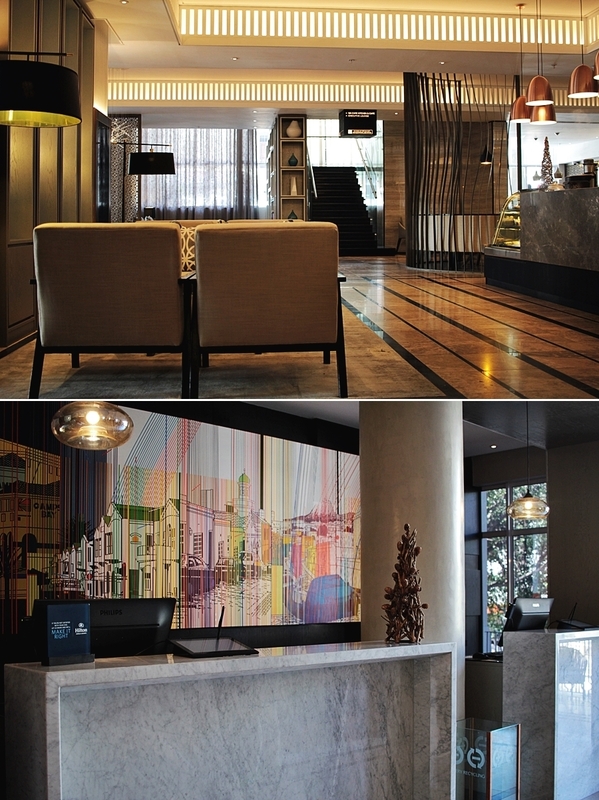 Staying for only one night during the end of my trip I put together a review of my stay for you guys..
My personal highlight while staying at the Hilton Cape Town City Centre was definitely the interior. The hotel is in such a perfect setting and already during my arrival I have been stunned by the perfectly detailed composition of details within the interior. 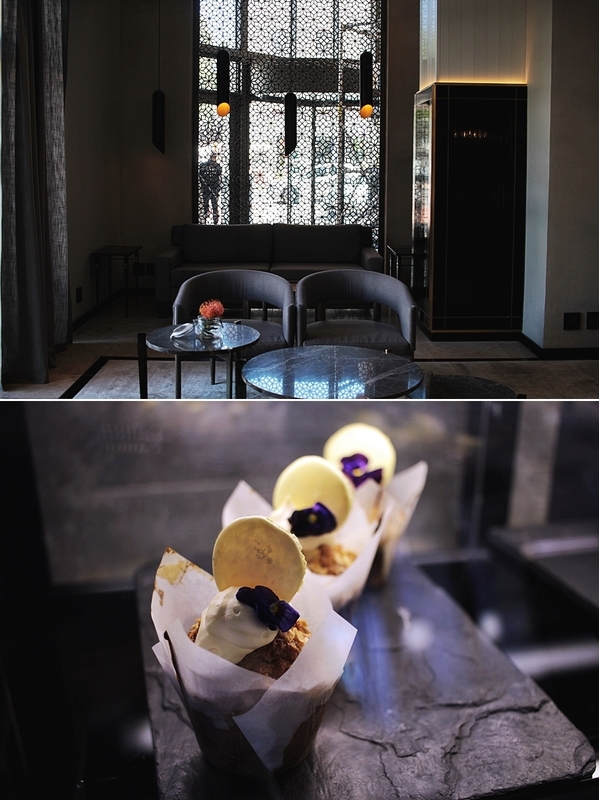 Marble elements, a warm atmosphere and a small café in the lobby ae the perfect spot for travelers to balance and enjoy a special treat, a tea ceremony offered by the hotel. Arriving at the hotel I was greeted by the staff, coming out to pick me and my luggage and guide me to the hotel lobby. As a Hilton honors member I could right check in with the staff without waiting. The team explained some details of the hotel to me, before handing me the room card and helping me with the luggage to get to the room. 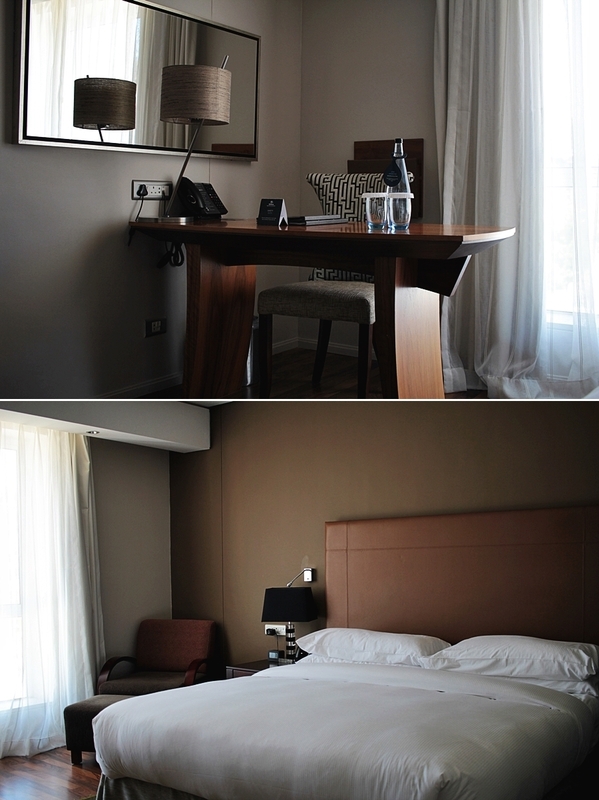 The room itself was a mixture between modern and chic. A lot of wooden elements, wide windows and bright natural light build the base of the room. 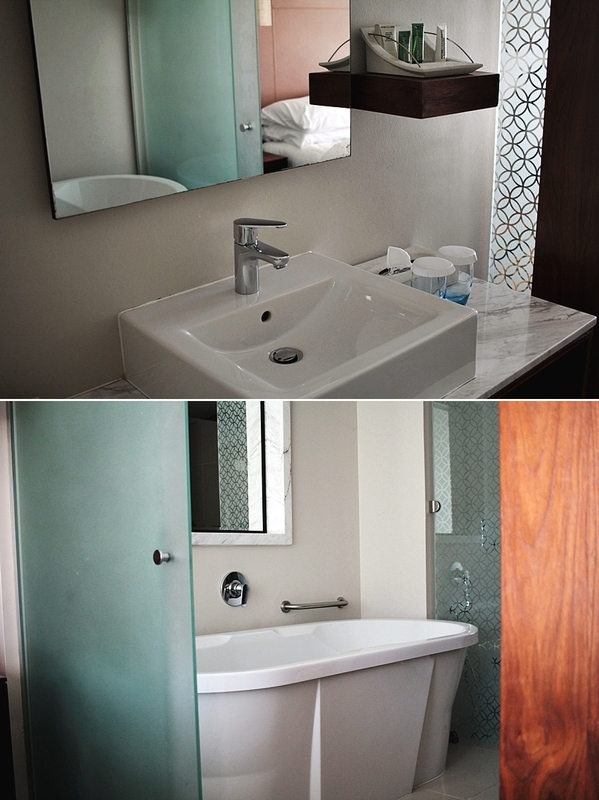 Along with a separate bathroom, offering each a bathtub and a shower one will definitely enjoy a little wellness escape within the room. 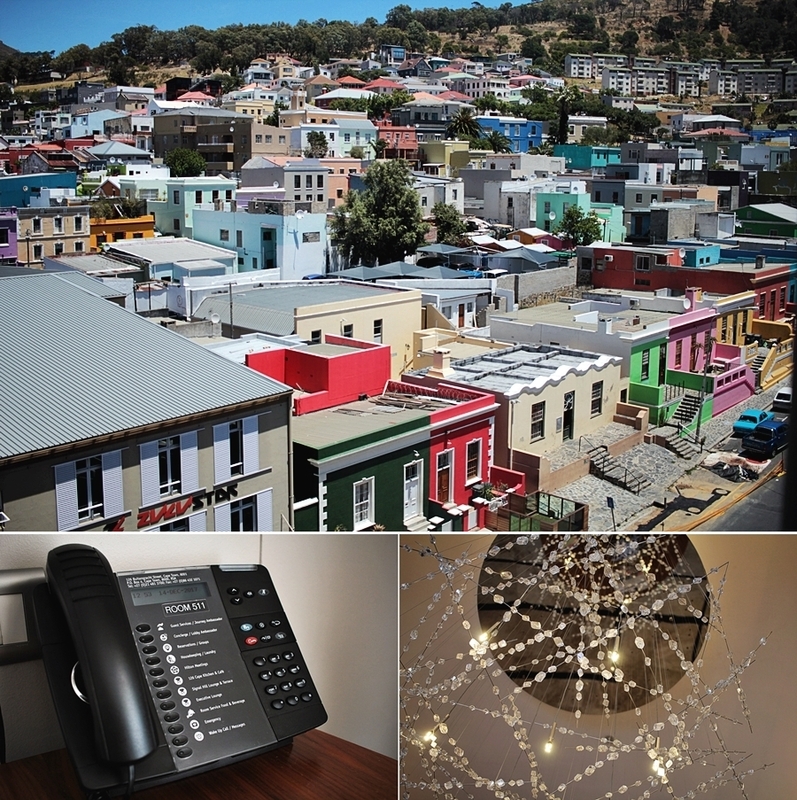 The area around the hotel hosts a colorful street and offers lush views out from the room. After having a little rest and getting ready for some discovery I went down to the lobby area. 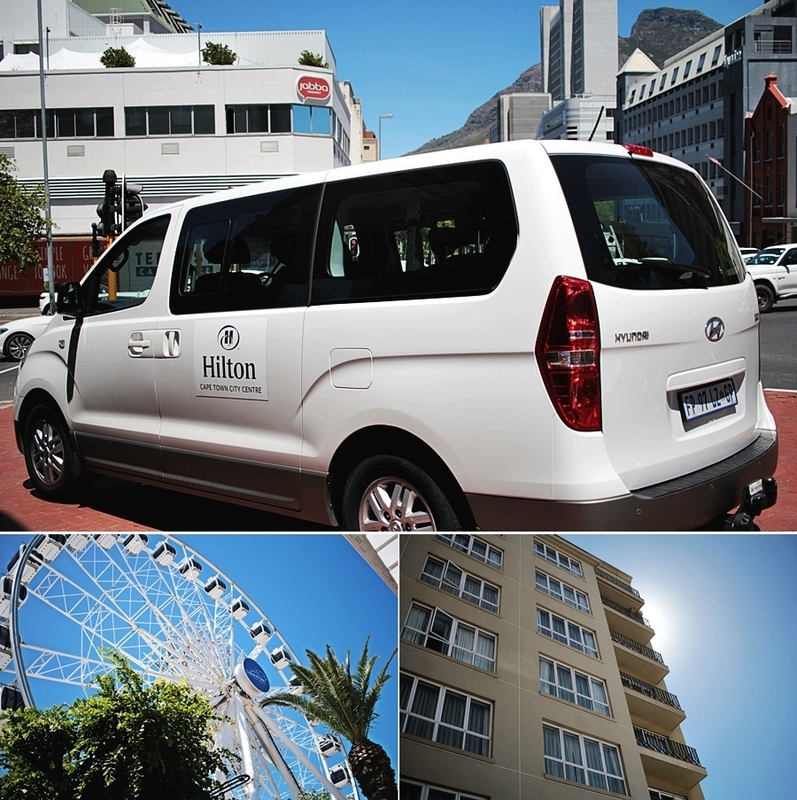 The hotel offers a complimentary shuttle to V&A Waterfront and is also nearby other sights, like Table Mountain and Robben Island ferry. However, I decided to get on the shuttle, which is leaving each once and hour every day. The Waterfront is about 15 minutes in distance from the hotel and a save and nice place to walk around. Also, the area offers a shopping center, the ferry wheel and some locals performing in the crowds. Coming back from a tour in the city it might be the best idea to take a rest at the lobby, where there is even an offer of fresh cakes, teas and coffee. Also, the area around hosts nice bars, cafes and restaurants. For those who want to calm down in a more wellness inspired area, the hotel offer access to a steamed sauna, which is accessible through the gym. 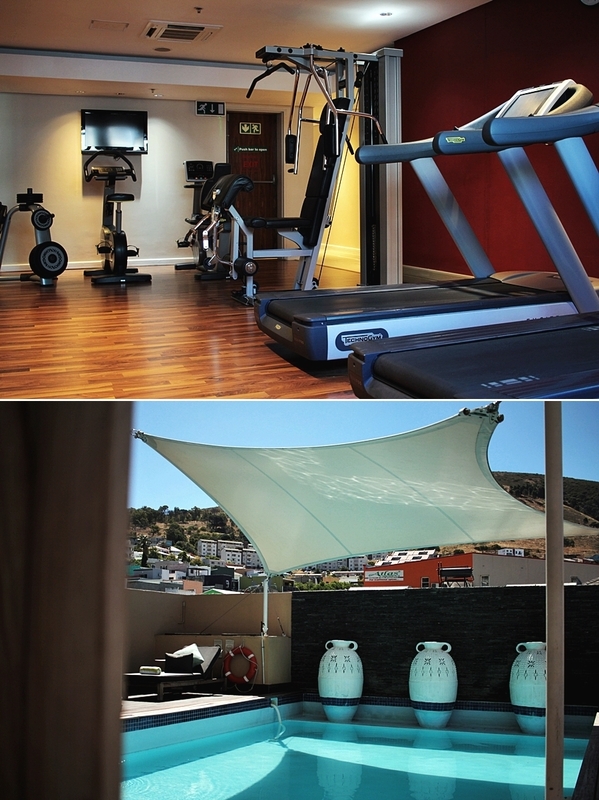 The gym however is accessible trough the “M” floor, just one level above the lobby and offers cardio and weight training. The business level is also located on the “M” floor, so as another restaurant of the floor. The pool area offers space to lay down and enjoy the sun or even the sunset. The first day of my stay went by very fast but I really enjoyed it and the area. In the morning I had my farewell breakfast, where I had access to hummus, salads and fresh fruits. The buffet also hosts an egg station, so as hot and cold dishes and is currently trying to set up a healthy area, that is also more suitable for vegans. However, the staff is delighted to assist with allergies and to improve the whole experience. Thanks again to the Hilton hotel for hosting me during the last days of my Cape Town travels.